With several solid decades of games and software behind us, combined with the growing accessibility of games development and distribution, it was inevitable that all sorts of old formats and styles would eventually be repurposed, parodied and reimagined as a new form of self expression. Delightfully, that includes educational software, the programs that taught us as kids things like basic spelling and math skills, years later inspiring new works of art and play as our generation grows into adulthood. Over at Itch.io, these titles, big and small, are flourishing, each providing a new take or creative spin on the ancient old computer games we once knew. Here are five I found that revisit and reinvent those old conventions and turn them inside out (sometimes even providing some actual typing instruction). They demand your immediate attention. 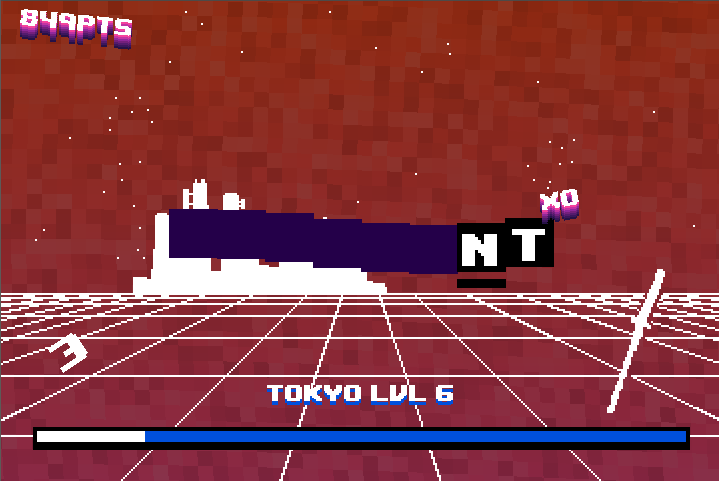 One of the purest takes on typing games to show up on this list, Hot Type combines synthesized beats, retro city settings and a cool ‘80s aesthetic with a timed pop-up typing screen to create a tense yet oddly soothing warm-up exercise for your fingers. Giving the player only a short amount of time to type each word, the goal is to spell as many as you can in a row before the bar runs out. What I like best about the game is that the selection of words to type is actually pretty good, spanning the keyboard in a way that makes adequate use of all the keys, stretching out the muscles in my hands. 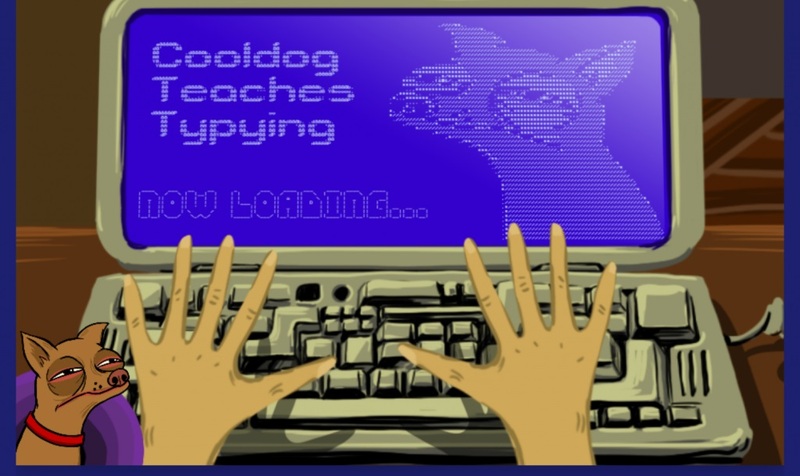 Play this one if you want some typing practice in a turbo chill setting. Very little typing is actually taught in David Lynch Teaches Typing, but that’s okay. As an homage to the filmmaker David Lynch, it is a masterpiece. Brief, off-putting and completely bizarre, it not only manages to capture some of the abrupt and disturbing imagery characteristic of his work, but also features a damn fine vocal impersonation of the director as well, all while beautifully retaining the conventions of a typing game. You may not get much typing practice in David Lynch Teaches Typing but I promise you’ll still learn something. Imagine if you had a remarkably smart dog. Even if they were the most intelligent dog to have ever lived, they’d probably still be illiterate. 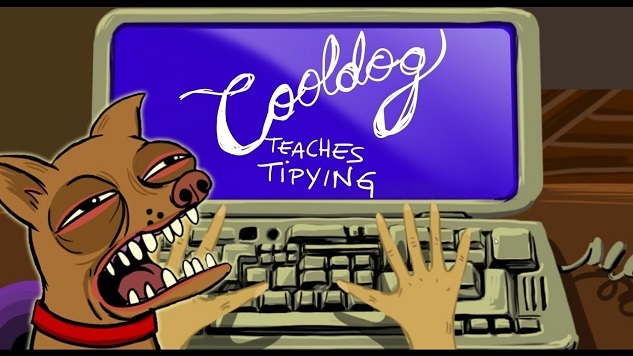 And so we have Cooldog Teaches Typing. This typing game has only three levels and won’t teach you much, but it does have some hilarious free thought paragraphs for you to work through—full of typos and nonsense that must be carefully copied as they appear. You might actually lose some of your disciplined typing skills after playing—I got errors after accidentally using the correct capitalization and punctuation—but you’ll at least have a laugh doing it. Type Dreams is by far the most beautiful and elaborate game on this list, both stylistically breathtaking and thematically enthralling. Featuring all the antique touches of Victorian era filmmaking, from the plinky honky tonk piano soundtrack to the occasional flicker of an ancient video reel, the game pits you against some of the world’s historical fastest typists in various tests of speed and skill. There are several types of modes and contests and competitors to choose from, and each pose a serious challenge even for those who speedtype on a daily basis; personally, I’m not great at it so far but I’m still completely enchanted. It’s cheating a bit to include the blasphemous bullet hell game The Textorcist. Unlike the others on this list, it doesn’t really parody the instructional typing software format. But consider it a master course in honing your speed and efficiency. After all, it’s one thing to type under pressure, it’s another to type while vomit, demonic spells and possessed projectiles are coming at you full speed, forcing you to dodge, duck and strategize when to squeeze in a few letters next. The panic of The Textorcist is intoxicating and, even better, the game keeps track of your combos so you know how many letters you can type in a row without making a mistake. 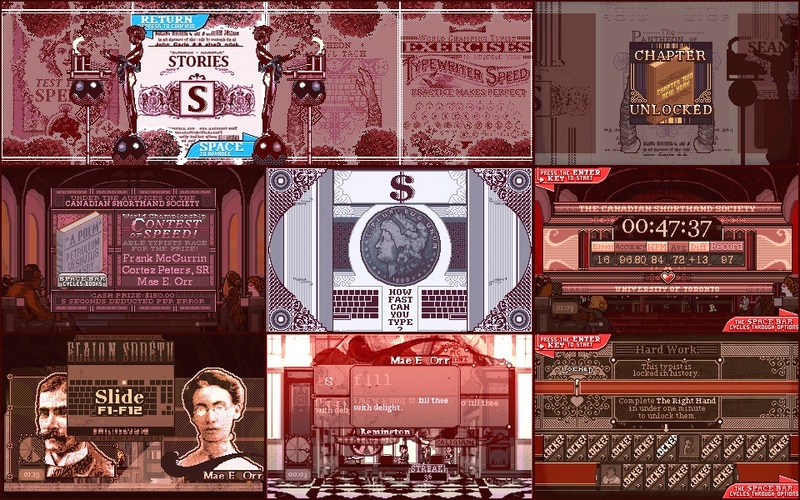 It’s an unconventional way to learn to type under duress but an effective one, delivered with deliciously sacrilegious flair (for the full version, head over to Steam).